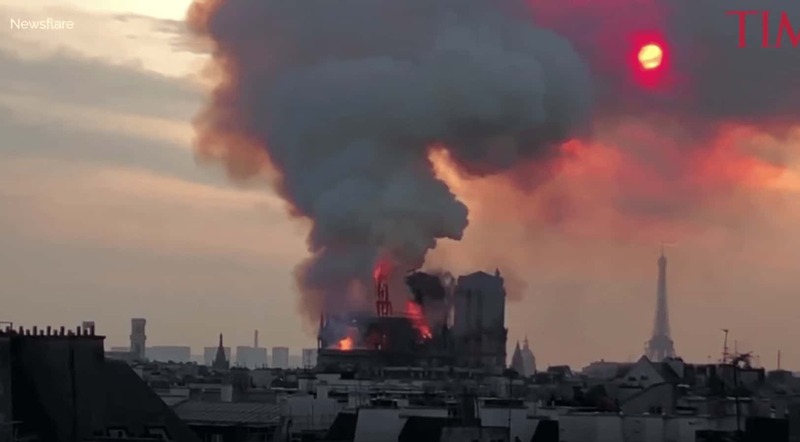 Early Tuesday morning in Paris, France, firetrucks and cranes surrounded Notre Dame and extinguished the final flames engulfing the cathedral. The spire has collapsed and the roof has given way for the most part. The two towers remain intact. Elsewhere in the building, damage is extensive. Some elements of Notre Dame have been preserved, including many of the famous stained glass windows and the organ. Officials were also able to rescue a lot of the most priceless artwork from the interior, including the church’s two most famous relics: a tunic of Saint Louis and the supposed actual crown of thorns Jesus wore on the Cross. In other regards, huge vulnerabilities remain with the cathedral, including segments of the remaining roof and part of the southern belfry. Investigators still don’t suspect foul play. They continue to assert the fire was most likely the result of the renovation efforts happening inside the cathedral. A public collection drive for donations to the restoration effort is in the works. Two luxury magnates well-known in France have already pledged over $300 million in tandem. One expert said the reconstruction could take decades. No one was killed in the fire, though two police officers and a firefighter were injured.